Slovenia is a nation state in southern Central Europe, located at the crossroads of main European cultural and trade routes. 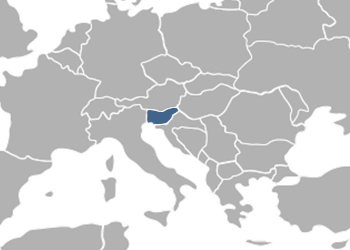 It is bordered by Italy to the west, Austria to the north, Hungary to the northeast, Croatia to the south and south-east, and the Adriatic Sea to the south-west. It covers 20.273 square kilometres and has a population of 2.05 million. It is a parliamentary republic and a member of the United Nations, European Union, and NATO. The capital and largest city is Ljubljana. Fees associated with registration of IP rights in Slovenia are available in the fee calculator.